Capuchin Fr. Cesare Bonizzi became part of the heavy metal rock world in 1990, three years after he was ordained a priest. 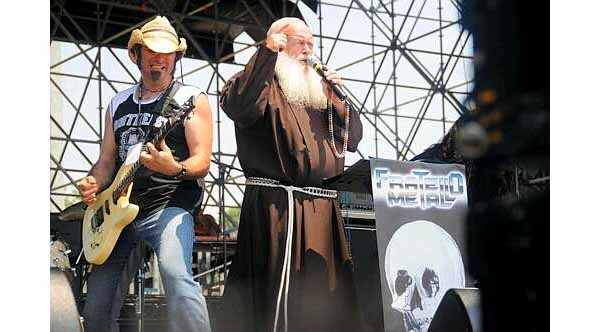 With the full approval of his superior he started the band Fratello Metallo (Brother Metal) and became an Italian curiosity in the rock world rather than a celebrity. He pretends that by vibrating to the rhythm of heavy metal, one becomes part of a kind of superior entity, which he believes is a good one. "What is important is not what I say, what is important is heavy metal!" "I am not giving you a blessing, the heavy metal is already the blessing!" He used to shout these words out to the crowd in a cavernous, hoarse voice. He also tried to "legitimize" some of the heavy metal satanic symbols. To the two-fingers-up sign representing the two horns of Satan normally displayed at rock concerts, he introduced a third finger that supposedly stands for "I love you." He used the skull, a traditional symbol of the secret forces and satanists, as his band logo, pretending he was using it as a Capuchin symbol of death. 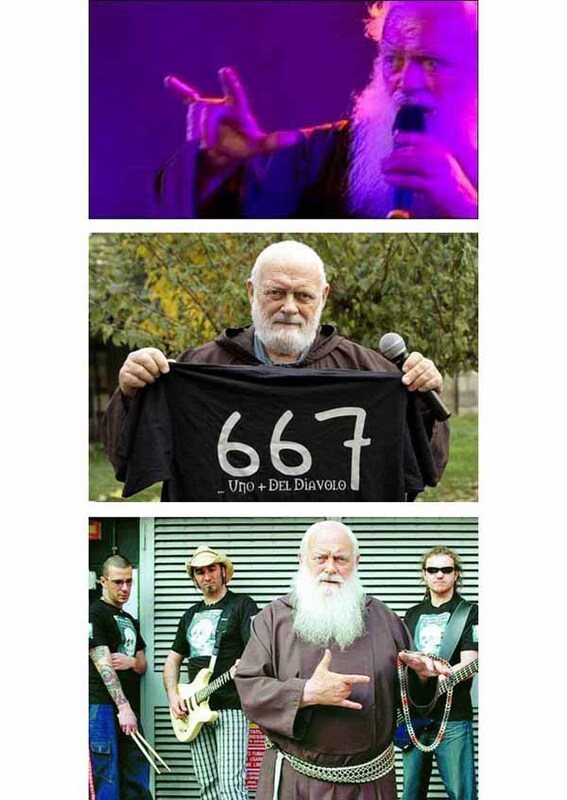 The number 666, also employed by some heavy metal bands to honor the Beast, Satan, was transformed by Bonizzi in 667 and supposedly became a symbol of Jesus... But he forgot to tell us what good thing his demonic voice would represent. Brother Metal published several albums of his uninspired lyrics, and in late 2009 at age 63, he retired for personal reasons. With a final dramatic flourish, he pretended he did so because the Devil was trying to make him break with his business manager, band companions, and even his fellow Capuchins. Also - a heartwarming touch of virtue - he said he wanted to avoid becoming a celebrity. And so Brother Metal left the stage. To listen to one of his rock concerts, click here.